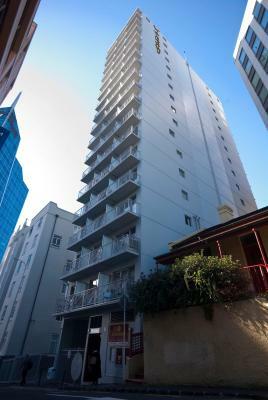 Princeton Apartments is located just a 5-minute walk from Queen Street, in Auckland CBD (Central Business District). It offers modern, budget accommodation. Shopping, dining and entertainment options are within 500 metres. Featuring a private balcony, Waldorf Bankside Apartments are situated in Auckland CBD (Central Business District), just 10 minutes’ walk from Viaduct Harbour. All apartments offer a fully equipped kitchen and laundry facilities. 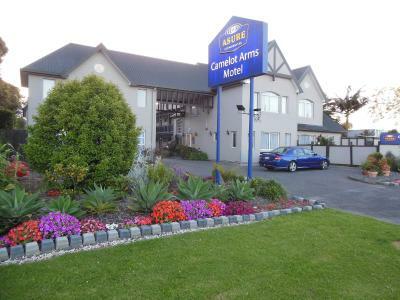 Just a 10-minute drive from Auckland’s International Airport, in the heart of Manukau City, the Camelot Arms Motor Lodge offers spacious, self-catering accommodation with free Wi-Fi and a 40-inch flat-screen TV with more than 50 satellite channels. Located 1 km from the village of Howick, the Howick Motor Lodge offers self-catering apartments with free Wi-Fi. All rooms include kitchen facilities, satellite TV, and balcony or private courtyard. 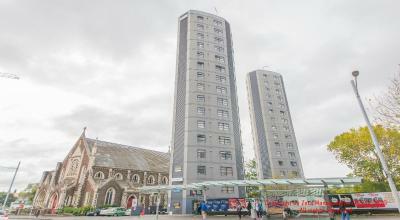 Set in refurbished historic building just across from Sky Tower, Surf ‘N’ Snow Hostel offers budget accommodation in Auckland CBD (Central Business District). It features a 24-hour reception and a common lounge with cable TV and a pool table. Dilworth Motel offers affordable accommodation with excellent transport connections close to Remuera’s business district. The property features free private parking on request. The modern rooms of the hotel have a balcony and a patio. Fat Camel Backpackers - Auckland is located in the heart of Auckland CBD (Central Business District), less than 10 minutes’ walk from the Skytower and the Viaduct Harbour. It offers dormitories and private rooms. This stylish boutique hotel in the heart of Auckland CBD (Central Business District) is a short walk from the Viaduct Harbour and the Sky Tower. It offers free Wi-Fi and a modern fitness centre. Guests enjoy free continental breakfast. The Waterfront Motel is located on the promenade of Bucklands Beach, just a 20-minute drive from Botany town centre. It offers self-contained apartments with an outdoor pool. Free WiFi is provided.